Sweet Scarlet Baking: Happy Easter! 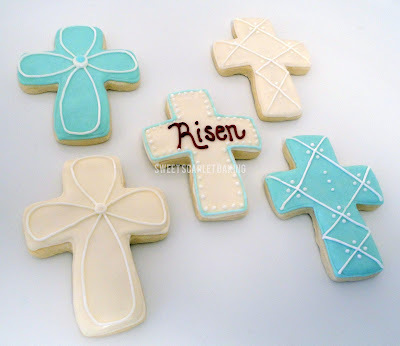 Cross decorated sugar cookies are a great way to celebrate the true spirit of Easter. Crosses would be perfect for a christening or first communion, as well.